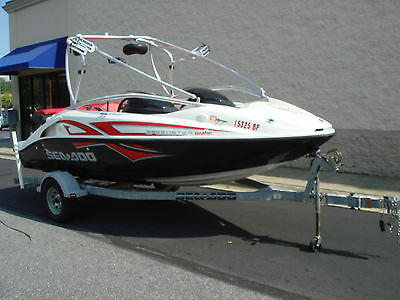 2006 Sea-Doo Speedster WAKE 200 2006 Sea-Doo Speedster Wake 200. 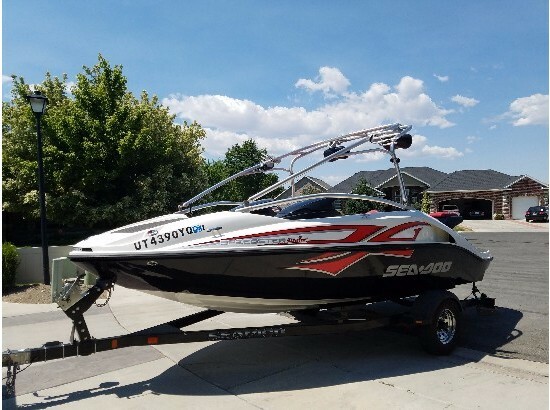 Twin 215 hp Supercharged Engines Wakeboard Tower Bimini Top Depth Finder Perfect Pass Stereo Ski Pylon Excellent Condition! 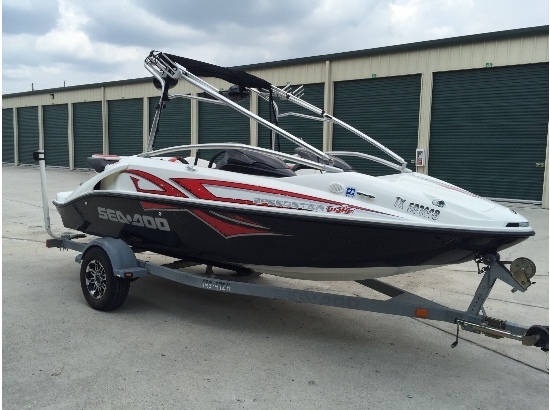 Located in Tampa, Florida. 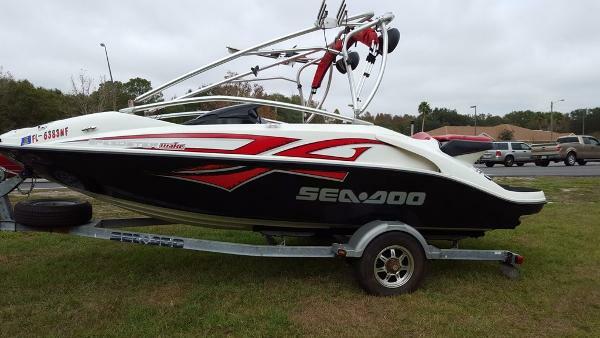 Call Scott for more info at 813-926-2400 or toll free at 888-866-1380.
ebayconsignmentoflenoir Store You are looking at a 2007 Sea-Doo Speedster Wake series jet boat with approximately 160 hours. 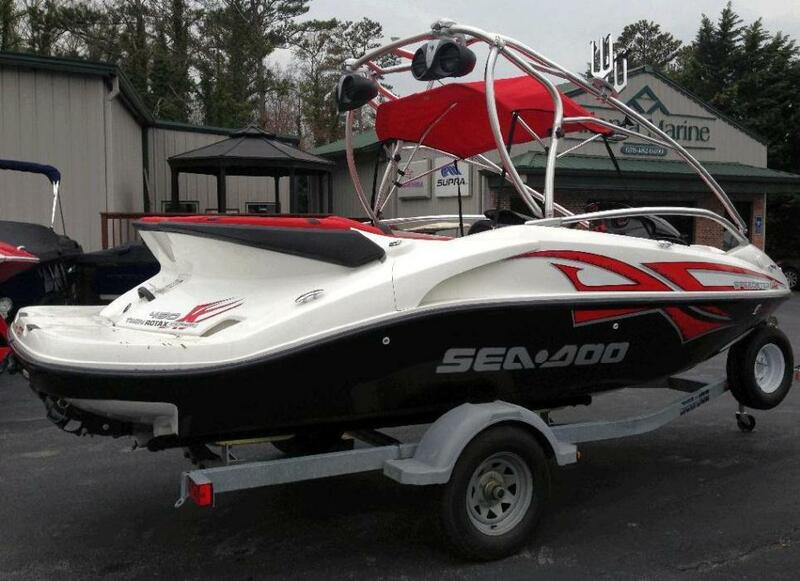 Boat runs perfect and is ready for lake. 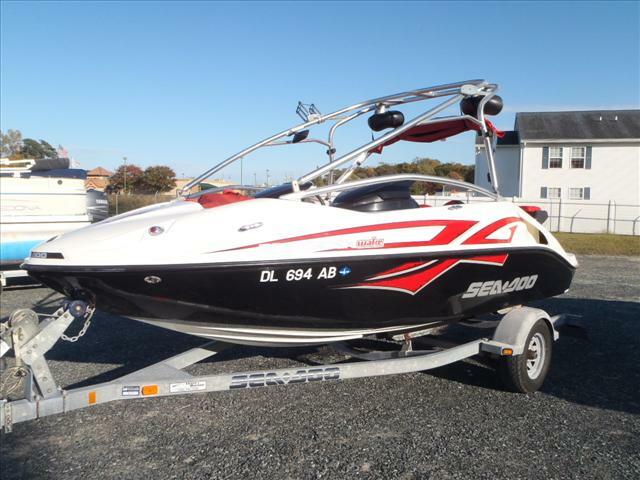 The only reason I am selling is I found some land I want to purchase. 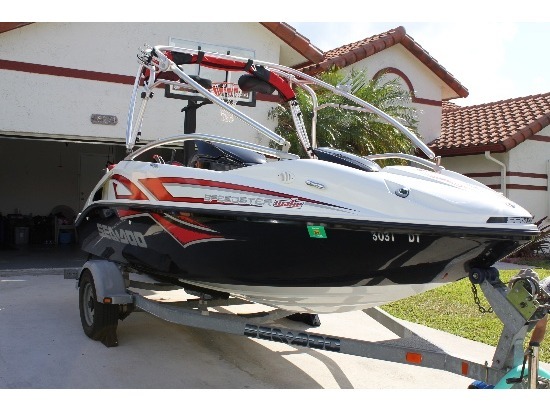 I am the second owner and have used the boat several times this year. 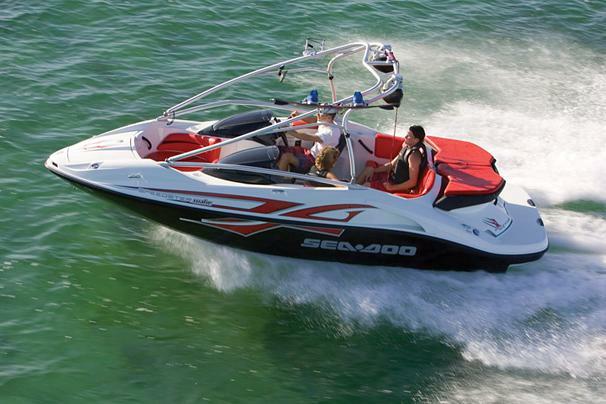 Boat has two Rotax 4-Tec 215hp supercharged engines. 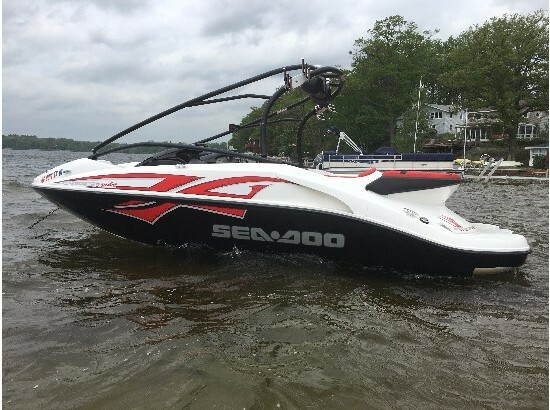 It has a PerfectPass speed control system, built-in water ballast for bigger wakes, Xtreme tower wakeboard holders, Sirius-ready Clarion radio system with Infinity tower speakers and amp and depth finder. The galvanized trailer has a break-away tongue, brakes and new tires. Email with any questions and thanks for looking.